SAHARA,CLEAN CARFAX,A.T. 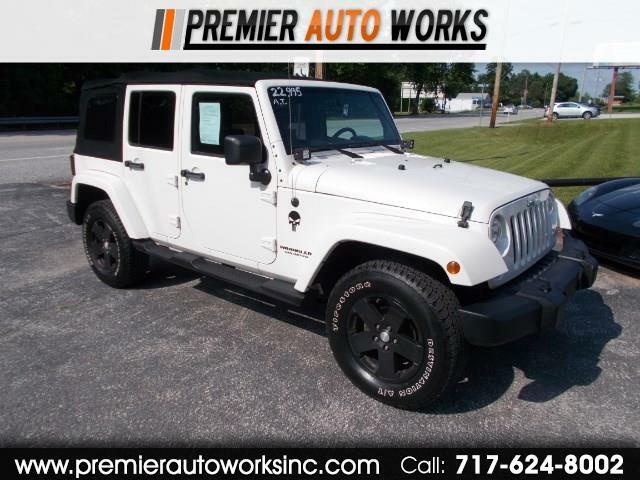 A/C,NEW PA INSPECTION,''ALMOST NEW'' PREMIUM CLOTH SOFT TOP W/TINTED WINDOWS,PWR.WINDOWS & LOCKS,KEYLESS ENTRY,STEP BOARDS,CD-MP-3 SAT W/AUX PLUG,FACTORY REAR KICKER SPEAKER,MAGNAFLOW EXAUST,AFE AIR FILTER,RUGGED RIDGE RUBBER FLOOR MATS,GRAB HANDLES,OPTIMA H.D. BATTERY,TILT & CRUISE,18'' ALLOYS,EXC.COND! CALL BOB OR JERRY 717-624-8002 EXT-1. NOTE *** ALL INFO IN VEHICLE ''DETAILS'' IS CORRECT. INFO UNDER''OPTIONS'' IS GENERIC & MAY NOT BE ACCURATE.